Fresh air is crucial for your survival but as much as you want to stay outside to breathe in fresh and clean air, you just can’t. You often have to be inside your home for nearly 90% of the day. However, without proper ventilation indoors, you are putting your health in great danger. 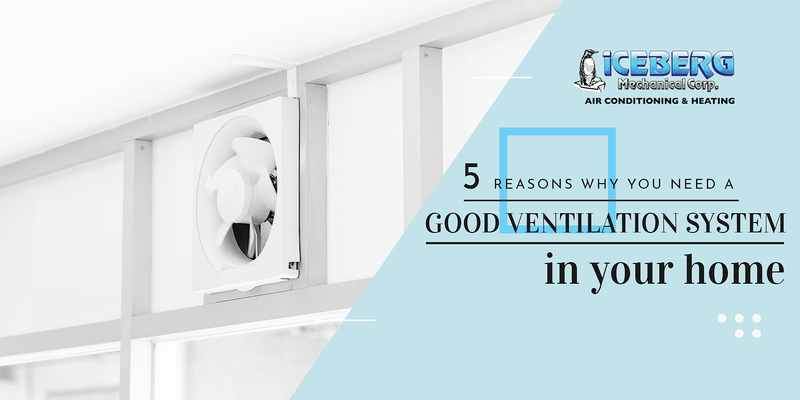 Take a look at these five good reasons why proper ventilation is a key factor in building an ideal home in NYC. You know that indoor air can be five to ten times more polluted than the outside. Without proper ventilation, the polluted indoor air can trigger the symptoms of asthma, rashes, allergies, and other health problems. This also hastens the growth of fungus, molds and other microorganisms in the air. To protect your health from these conditions, you need to secure a good ventilation system as early as today. There comes the time of the year when moisture is a total home enemy. Too much condensation has a drastic effect on the window sills, attic eaves, carpeting as well your home’s insulation. A good ventilation system can eliminate excess moisture in the air, thus protecting your home from any damages. With proper ventilation, you have full control of the air that flows inside your home. That is why you will notice great savings on your energy consumption. Good ventilation also helps in controlling the pressure inside to prevent back drafting. If you are confined in a small space of your houses like the kitchen and small rooms with other people, you cannot help but notice that the temperature gets uncomfortably hot even in the fall season. With proper ventilation, you do not have to suffer from this discomfort. Instead, you will be able to enjoy a relaxing and productive time with your family and friends in a small space you are sharing. In your day to day living, you are using household products and chemicals that emit Volatile Organic Compounds (VOCs). Exposure to high concentration of these compounds can pose dangers in your health. VOCs are nearly impossible to eliminate, but proper ventilation can reduce its concentration inside your home. Whether you are building a new home or maintaining your present house in New York City, you should give great importance in the ventilation system or else, you are putting yourself in jeopardy. If you lack enough knowledge and skills about it, feel free to talk to our experts at Iceberg Mechanical. We can work on your ventilation system and give you some pointers about it. Call us, and we’ll be there!